I love how Elizabeth and her father each have their head at the same angle as the other. Like father like daughter! A new picture of the Royal Family! The Royal Family enjoy the last days of 2018 in Egypt! Pictures from the trip of the Royal Family in Egypt! Great to see the family enjoying their adventures in Egypt! Hopefully this will boost the tourism (particularly amongst Benelux tourists) of Egypt which seems to have dwindled over the past few years. I visited Egypt a few weeks before Tutankahmun's tomb closed, and it was a fantastic experience, especially if you're into history or geology. It's nice to see Elisabeth back with the family for the Christmas holidays. I'm sure she and her siblings are enjoying spending their time with each other before she goes back to Wales again. 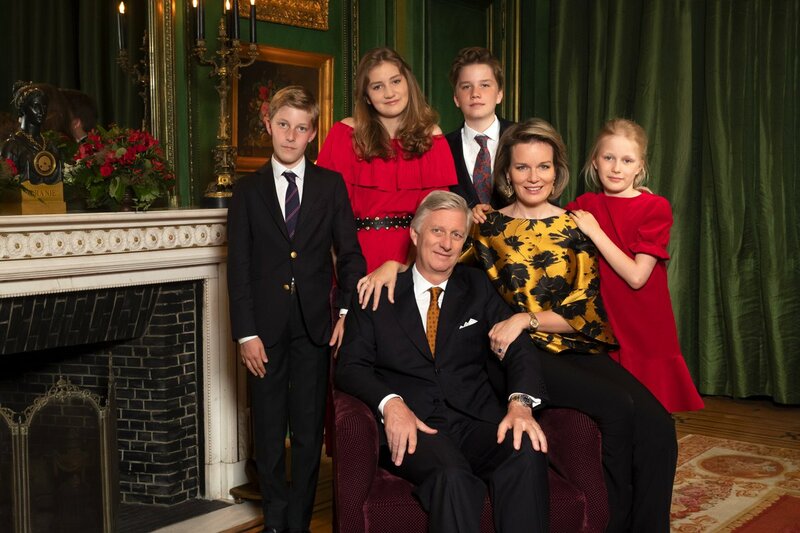 All of Philippe and Mathilde's children seem to be very close to one another. It's some tour guide they got! Hawass is the leading Egyptian Egyptologist! He is also directly responsible for all major digs, experiments, scannings and what not the scientists may come up with in regards to ancient Egypt. Yes I saw that and wow........what a thrill to have him as a guide. This is one very outstanding man who has saved so much of the ancient history of Egypt and kept the artifacts in Egypt. I have quite a few of his books here. To bad he is no longer in control of the monuments for he really did a great job. I call him my favorite Pharaoh of all ancient Egypt, yea I admire him a great deal. I always wished he would of come to the Oriental Institute here in Chicago at the University of Chicago which is world famous for all Egyptologist working in the field where I used to be a volunteer. What a fabulous place to visit...... Check out the Oriental Institute on google and see this fabulous place! 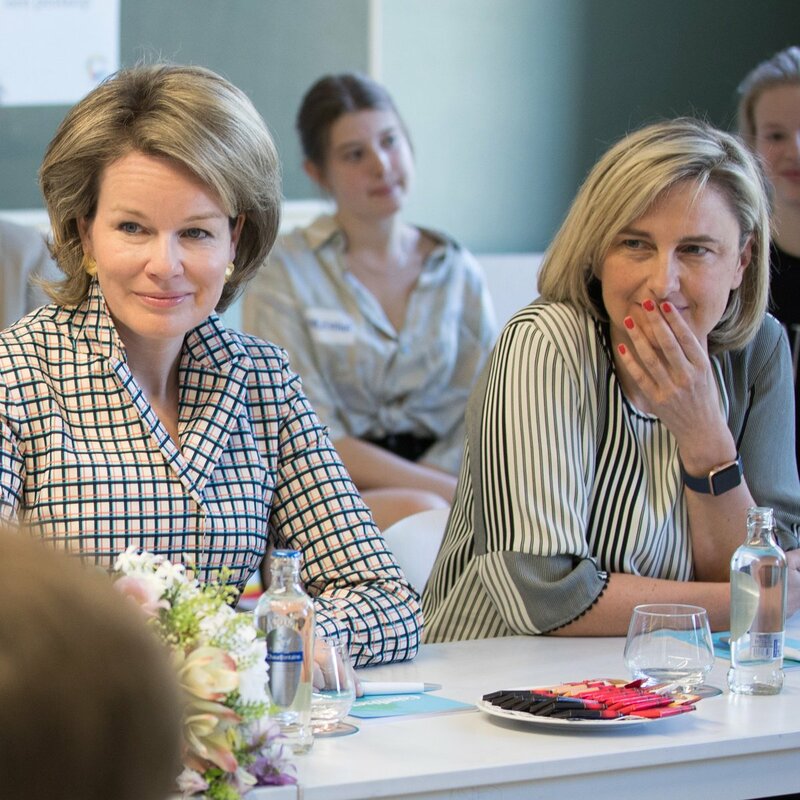 Queen Mathilde celebrates her 46th Birthday today! "Merci pour vos vœux d'anniversaire ! Thank you for your birthday wishes!" Dr Zahi Hawass on his Instagram talking about meeting the Royal Family back December in Egypt and share two more pictures! Great photos - must've been an amazing experience for both Dr. Hawass and Philippe's family! It seems and this year as last year the Royal Family will spend their Easter Holidays in Spain! They've been going to Spain for several years now. Great way to spend your easter holidays; doing part of the Camino de Santiago each year (when living in Spain; we decided to do it at some point as well - still not sure when it will truly happen). King Philippe receive Philippe Geubels to celebrating their common birthdays today! I have never seen the King so relaxed and ad rem. Apparently he is a fan of Philippe Geubbels TV program Taboe. The family is walking a new stretch of the Way of St. James during Holy Week, as they have done in past years. This year they visit Palencia and Burgos.